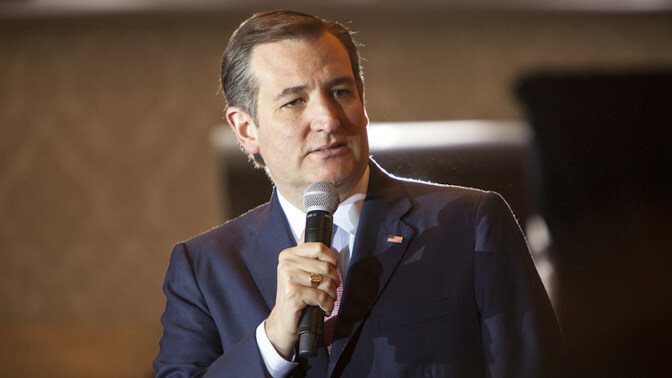 On Tuesday, Texas Senator and former Republican presidential candidate Ted Cruz called for an end to the brutal treatment of preborn children by abortion giant Planned Parenthood. Cruz, who issued the following statement to recognize the one-year anniversary of the Center for Medical Progress’s first video exposing Planned Parenthood’s harvesting of organs from aborted babies, called the actions “horrifying.” He also urged for an end to the taxpayer funding of the abortion industry. This week marks one year since the Center for Medical Progress began releasing undercover videos that shocked the nation. The horrifying videos released last summer revealed the grim reality of Planned Parenthood’s barbaric practices. The footage shows senior Planned Parenthood officials laughing and swilling chardonnay as they casually and callously discuss the killing of unborn children in order to sell their body parts. The abortion industry has long sought to dehumanize unborn children. But behind closed doors, we’ve seen that it’s all an act. They know babies are more than a clump of cells. They are little boys and little girls with hearts and livers and hands and feet. While the sheer candor of the videos is shocking, what is more disturbing is the admission that these barbaric actions are standard practice in the abortion industry. Worse still, Americans are currently forced to fund millions of dollars each year to the very abortion industry that commits these heinous acts. This must end. I applaud Chairman Marsha Blackburn (R-Tenn.) for leading the House Select Investigative Panel on Infant Lives, and I will continue to lead the fight in the U.S. Senate to defund Planned Parenthood. The Center for Medical Progress, which produced the videos, alleges that Planned Parenthood profits from human tissue, commits partial-birth abortions, and violates patient informed consent. Abortion advocates have intensely disputed the charges over the past year; but despite their narrative, the videos were not deceptively edited and the abortion giant has not been exonerated. Since dropping out, Cruz has pledged he would work against efforts to weaken the Republican platform’s pro-life plank.